A good software is one which is not just functional, but which is also easy-to-use, scalable, maintainable, secure, fast and well-tested. We perform audits and assessments on software to assure that they scale high on the quality metric front. If you are spending time and money getting a useful IT component for your IT infrastructure, do make sure that it is equipped with tests and has gone through a rigorous process of QA; else you may find yourself in the market very soon spending more time and more money on a new version of the same solution. 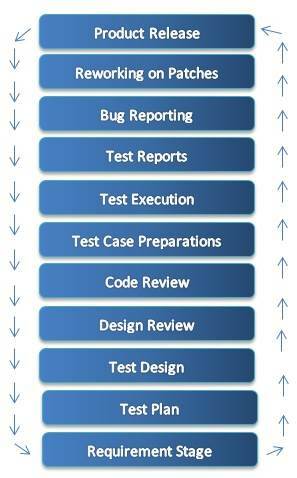 Software QA and Testing should be an integral part of any software development process. These are a must for developing strong and sustainable solutions. Software that lack tests and QA is undependable and does not scale to a user’s growing and changing needs. It will be extremely time consuming and expensive to adapt, enhance, fix or re-factor such solutions in the future. We provide software QA consulting and software test consulting. New solutions designed and implemented by our vendors follow a rigorous QA and testing process. If you have existing products that are behaving buggy, that lack tests or that fail to validate and meet your requirements, we can help revamp, fix and test them out. The final output will be a much more rigorous solution equipped with different kinds of manual and automated tests. Validate and Verify a program so that it meets the business and technical requirements that guided its design and development. Load testing – testing how well the solution can handle the load. Regression testing – equip it with regression tests so that new functionality can be added with ease. Usability – Navigation, control flow and usage. Security testing – is it secure to XSS attacks, hacking?